A prosecutor on Friday demanded a life sentence in an İstanbul court for main opposition Republican People’s Party (CHP) deputy Enis Berberoğlu for leaking information to journalists for a report on National Intelligence Organization (MİT) trucks transporting weapons to rebels in Syria, CNN Türk reported. 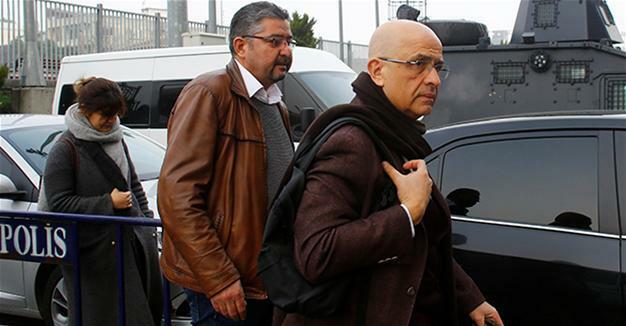 The court also ruled to close the proceedings in Berberoğlu’s retrial to the public on grounds of national security and set the next hearing for Jan. 16. On June 14, Berberoğlu was sentenced to 25 years in prison for leaking classified information to a newspaper. A regional court on Oct. 9 overturned the İstanbul 14th High Criminal Court’s June verdict and ordered a retrial. When the MİT truck story first broke in 2015, it produced a political firestorm in Turkey about the role of the Turkish spy agency in arming rebel factions in Syria and prompted an investigation into Cumhuriyet daily journalists Can Dündar and Erdem Gül, who published the report. They were first jailed while facing trial on spy charges for publishing footage purporting to show MİT transporting weapons to Syria in 2014. Later, the two journalists were released pending trial. When Dündar later published a book titled “We Are Arrested,” he mapped out the details of the news story on May 27, 2015, saying that a leftist lawmaker brought the information to him. Upon that revelation, the İstanbul Public Prosecutor’s Office launched a new investigation and examined Dündar’s phone calls during the days leading up to the publication of the story. The prosecutor’s office detected a phone conversation between CHP deputy Berberoğlu and Dündar on May 27. A new indictment was then drafted naming Berberoğlu. In September 2016 an İstanbul court decided to merge the trial of journalists Dündar and Gül with that of Berberoğlu. This article originally appeared in Turkish Minute on Dec 1.